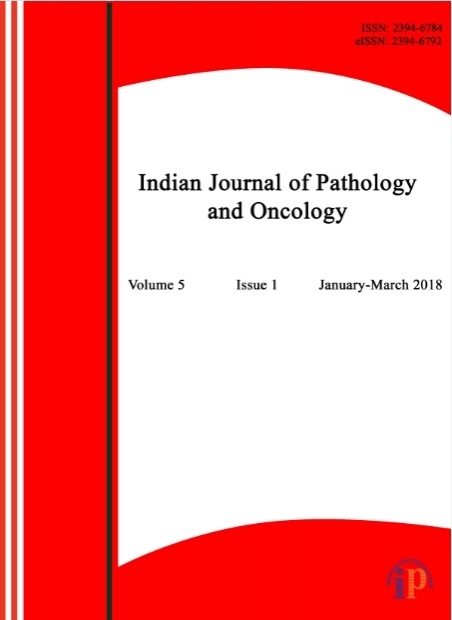 Indian Journal of Pathology and Oncology (IJPO) is an interdisciplinary journal at the interface of pathology and oncology, including the preclinical and translational research, diagnostics and therapy. 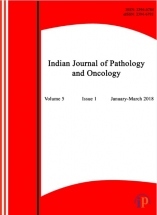 The journal covers studies related to pathology including morbid anatomy, surgical pathology, clinical pathology, diagnostic cytopathology including gynecologic cytology. Furthermore, IJPO offers an international forum for the rapid communication of reviews, original research, critical and topical reports with excellence and novelty. Published quarterly, IJPO is dedicated to keeping scientists informed of developments in its focused biomedical fields which span the gap between basic research and clinical medicine.